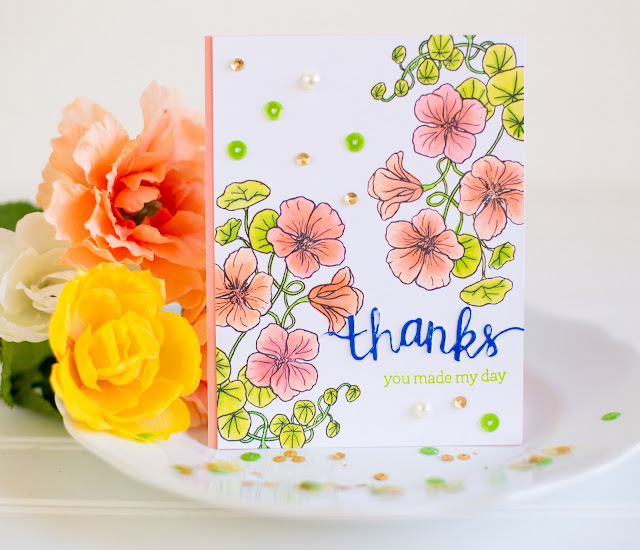 This week's Simon Says Stamp Wednesday Challenge is Bright and Cheerful using Hero Arts supplies. It just so happens that I recently got a new floral stamp set from Hero Arts and hadn't yet used it, so it was about time! I stamped the Nasturtiums in diagonal corners and colored them with Copic markers. I also used a different Hero Arts stamp and die set to create the sentiment. The sequins are a mix from Buttons and Galore's new 28 Lilac Lane collection! I was surprised at how much I liked the peach combined with the bright, yellow greens of the vines. 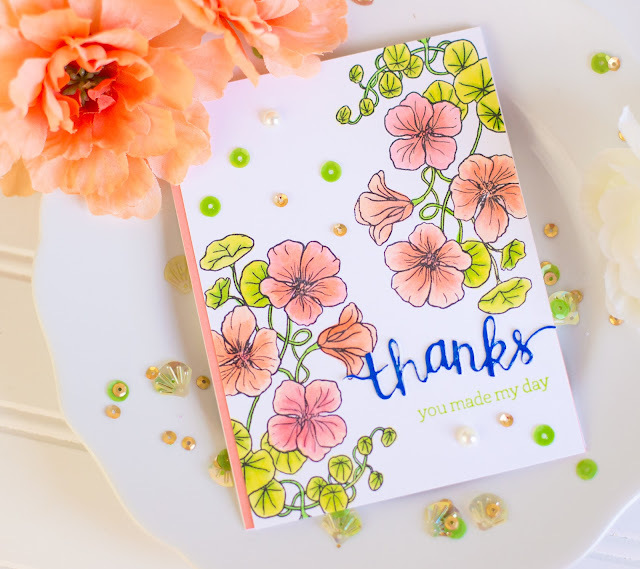 Since it is my birthday today, I needed a few thank you cards so this was the perfect opportunity to both use a new stamp set, practice my coloring AND make a card to send! If you are interested in the supplies I used, they will be linked down below. Thanks for stopping by!